Beach. Sand. The Good Life. We all love island vacations. Here are some of our favorite island destinations from around the world. When luggage gets lost, it means a week with just a swimsuit and change of clothes. Then again, isn't that all you need? Enjoy the spirit of ingenious creativity that makes up the authentic flavor of Cuba. Forty years ago, Singapore was a dangerous port town. Today it has become one of the world's "tidiest" nations. In Turks and Caicos, white sand serves as more than just beach. Hidden 28 years in the jungles of Guam, the myth of Sergeant Shoichi Yokoi becomes reality. Though difficult to find, this natural treasure in the British Virgin Islands is well worth the visit. Salsa music, spicy fragrances and Spanish colonial–style architecture summon visitors to San Juan. 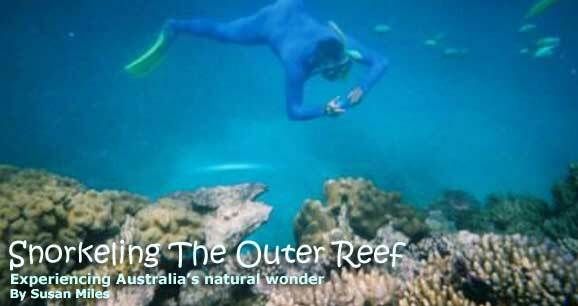 Nearly 1,500 miles long, the Great Barrier Reef is a living sight to see. See the Caribbean through Elaine Estern’s work while enjoying flutes and rum punch at her Sunset Party. Enjoy style and sophistication à la the ‘30s at Napier’s Art Deco Weekend. This is one party you won’t want to miss. Hawaii's Big Island has a variety of beaches, including this remote green sand beach. 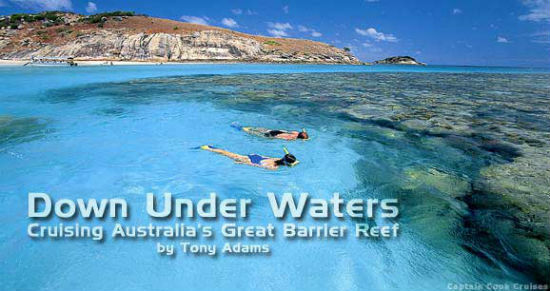 Snorkeling in crystal waters provides an up-close look at one of the modern world's seven natural wonders.